Although deposit options such as prepaid cards, e-wallet services and bank transfers have become more prevalent at online poker sites, real money credit cards remain a popular option for poker deposits. By choosing credit card poker sites, you’ll be able to make a real money deposit by using a banking option that you probably already have access to. Poker sites that accept credit cards usually make this known on their Banking, Cashier or Real Money page. 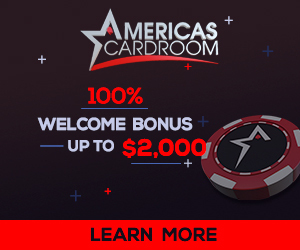 Play Betonline with a credit card for real money! In most cases, deposits using all of these credit cards will be accepted and processed free of charge. Further, the funds should appear in your online poker bankroll immediately after you make the deposit. It’s often difficult to request withdrawals using a credit card, even at credit card poker sites, though this option is available when using certain cards such as Visa Electron. In order to make a deposit at credit card poker sites, you’ll first need to download the software (or choose the browser-based instant play software) and register for a new player account. Next, you should view the banking page, typically located under links labeled Banking, Real Money or Cashier. Choose the deposit method you wish to use, such as Visa or MasterCard. You’ll need to enter some key pieces of information, such as the name on the card, the expiration date, the sixteen-digit card number and the three-digit security code located on the back of the card. Next, you must enter the amount you wish to deposit. Refer to the information related to your chosen real money credit card to determine the minimum and maximum deposit limits. If the site offers an initial deposit or reload bonus, you could enter the respective bonus code at this time. Finally, confirm the deposit amount and click the button necessary to submit the deposit. Most credit card poker sites will process the deposit and make it available for wagering immediately. Due to legislation passed in recent years in the United States, many online poker sites now refuse to accept real money credit card deposits from U.S. players. However, there are still some U.S. real money online poker sites accepting credit cards as reliable deposit options. In some cases, your initial attempt at making a credit card deposit may be subjected to a stop-payment being placed on the transfer by your creditor. If this is the case, you may need to consider transferring funds from your credit card to an e-wallet service, and then to the online poker site. In general, real money credit cards are not the most secure deposit options at some poker sites, since you’ll need to give your financial information directly to the site itself (something that isn’t necessary when using e-wallet services). However, it’s still possible to achieve optimal security at credit card poker sites, so long as the site itself protects the data sent during a financial transfer by using encryption technologies such as 128-bit or 256-bit SSL encryption.